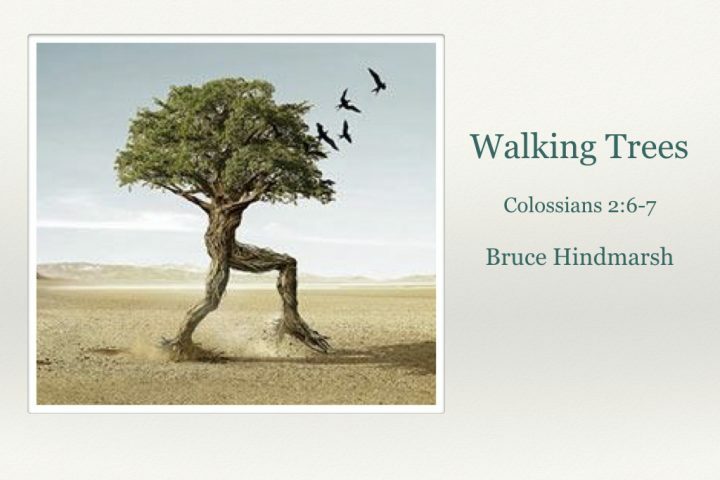 Col 2:6-7 Like Walking Trees Once a person comes to faith, how does one continue to live and grow in faith? This Sunday we have a guest speaker who will share on this key idea for the spiritual life from the book of Colossians. Bruce Hindmarsh is the professor of Spiritual Theology at Regent College in Vancouver, BC, and his main area of research is Evangelical Spirituality. Bruce and his wife, Carolyn, have been with the staff for a retreat this week. We have been so blessed by his time with us and are thrilled he will be speaking this Sunday.